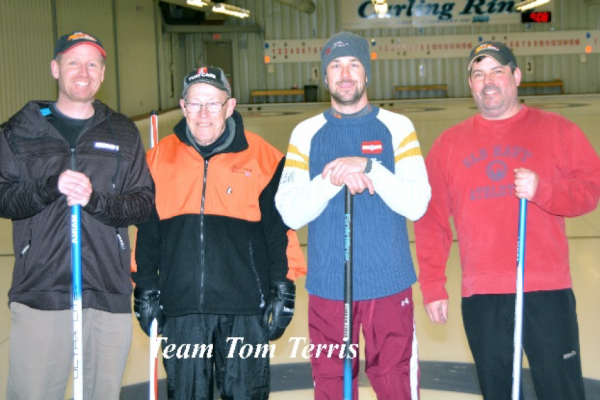 Champions Regular Season – TEAM TERRIS: Skip – Tom Terris, Vice – Reg Spencer, Lead – Luke Morden, and Second – Jacob Gauthier. 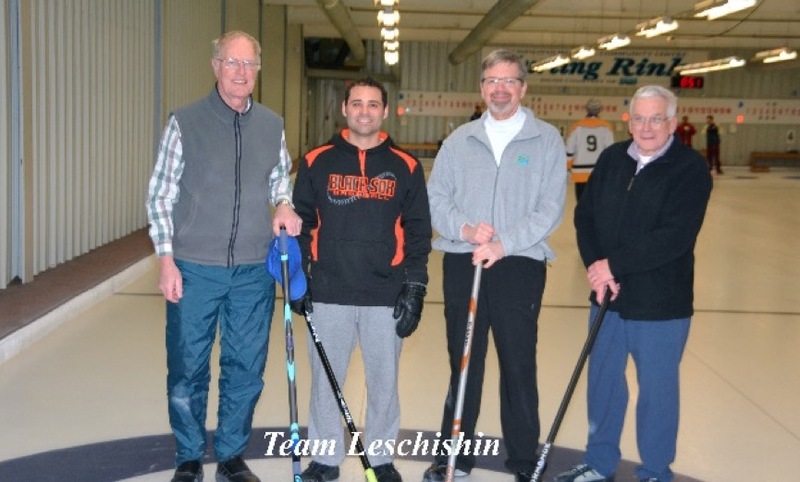 Regular Season Runners Up – TEAM LESCHISHIN: Skip – Mark Leschishin, Vice – Adam Carricato, Lead – Andy Stevens, Second – Andy Ilola, and Spare – Joey McCoy (Playoffs). Last evening the Men’s Championship Game was played. Rival Teams Terris played Team Leschishin. The game was decided with the final rock in the 8th end. 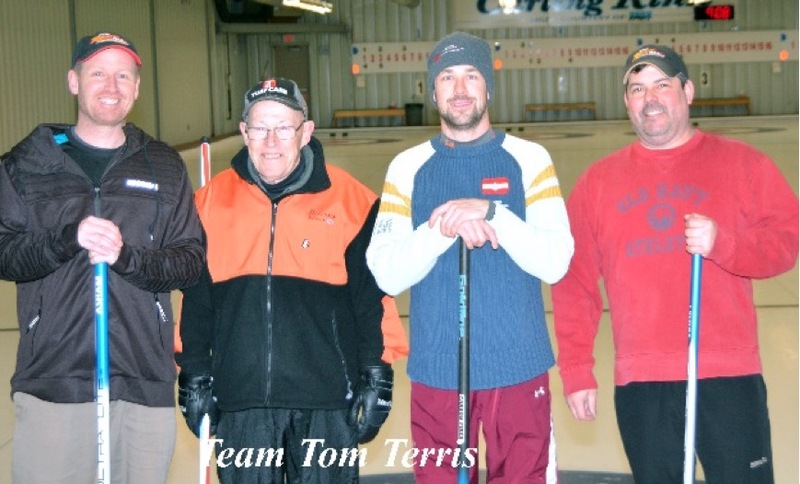 Congratulations to Team Terris – Regular Season Champions and Team Leschishin – Playoff Champions! A special thank you to Jim Hoffmann Club President and Andy Stevens Secretary/Treasurer for all of their work during the Regular Season and for organizing the Bonspiel which is the 71st Bonspiel and begins at 6:00 PM on Friday, April 13th. The 2017 – 2018 Season was an exciting curling year with many exciting games and great sportsmanship. We had several new curlers this year and look forward to the start of the 2018 – 2019 Season this fall. 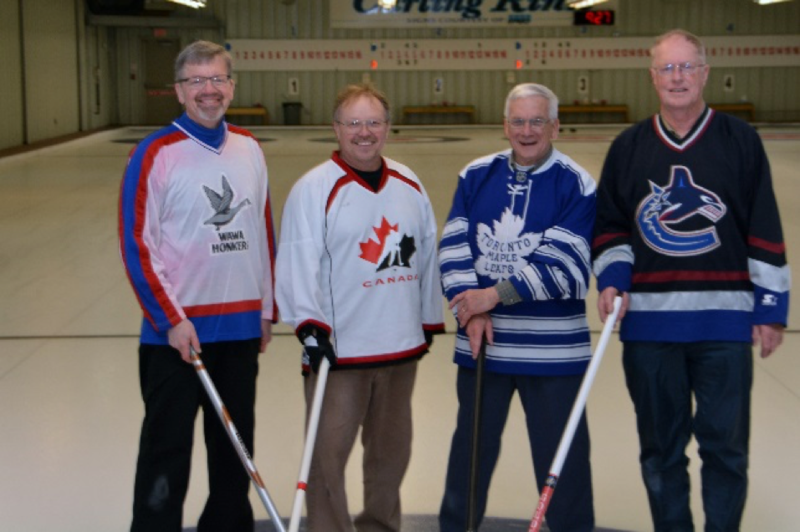 Don’t forget the Men’s 71st Curling Bonspiel begins at 6:00 PM on Friday, April 13th at 6:00 PM. 24 Teams are registered for the event.